Open your heart to new opportunities & adventures! 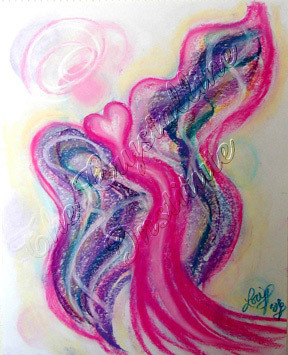 This Dancing Star Angelic Message Portrait was created to help us be all that we can be. Her goal is to help us rise above those fears that keep us from our greatness … fears such as stage fright, the fear of public speaking, of being in the spot light, of not being good enough, and even the fear of success. She whisks those fears right out the window with one wing, while her other swoops us onto the stage. She then opens our hearts and puts us in touch with the glory of all that we are meant to be. Order Your Matted Prints Today!